Tommy was clearly a giver in the world, always seeking ways to better his beloved Duncan and elevate the quality of life for its residents. His civic involvement included Oklahoma City University Board of Trustees 1984-1998; Oklahoma School of Science and Mathematics Foundation Board of Directors 1999-2009; University of Oklahoma Alumni Association Board of Directors 1971-1979; Jaycees 1957-1964, “Distinguished Service Award” 1965, “Outstanding Citizen Award” 1974. Of all his many accomplishments, none was more important to him than the development, growth, and advancements to the Duncan Regional Hospital, working alongside Dr. Robert James Weedn and Jack Geurkink, his lifelong friends, and others to purchase and merge three privately-owned small facilities in 1977 into an incredible medical complex that is now a hub of medical services in southwest Oklahoma. 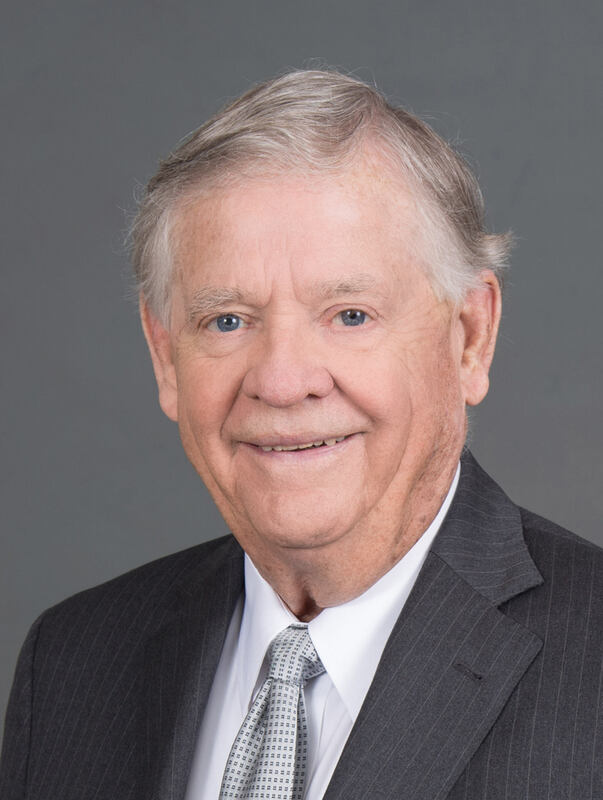 Tommy was instrumental in raising $10 million for the project, served as a member of the Duncan Health Authority from 1976-1987 and then was named to the hospital’s board of directors from 1987-1990. Tommy’s most unique spotlight centered on his membership in the Duncan Rotary Club. He attended his first meeting in March 1961 and never missed another, traveling around the world on occasion to keep intact his unheard of 58 years of perfect attendance. He served on the club’s board of directors, was president in 1973-74 and has been a Paul Harris Fellow for decades. That’s only a glimpse at his life of commitment, of leadership, of dedication, of passion, and of benevolence to organizations and causes in which he believed and supported. Recently, the Duncan Chamber of Commerce presented him its Lifetime Achievement Award for community service. He was president of the chamber in 1975, its Man of the Year in 1979, and played a significant role in planning and construction of the L.B. and Ola Simmons Community Activities Center. Tommy is survived by Kaye, his adoring wife and partner of 62 years; sister Jo Ann and her husband Bill Morrison; children Janalyn and her husband Mark Geurkink, Judy and her husband Bob Neville, and Jeff and his wife Tina Jones. He adored his grandchildren Jordan and her husband Trey Williams, Jack and his wife Kayla Geurkink, Robert Neville, Jillian Neville, Jefferson Jones, Jerrad and his wife Haley Jones, Jenifer Jones, step-grandchildren Brandon Stacy, Colton Gibson, and Madison Price, and great-grandchildren Audrey and Grace Geurkink, Walker and Jack Williams and Hazell Jones. Tommy’s family is forever grateful for the special care given by Esther Villagrana, Aniceto (Mora) Gonzalez, Leticia Estrada, Claudia Hernandez, Magdalena Alcantar, and Maira Moreno. Our family’s wish is to fund a new dialysis unit at Duncan Regional Hospital. In lieu of flowers, please consider making a charitable donation to Duncan Regional Hospital Health Foundation, PO Box 2000, Duncan, OK 73534 in memory of Thomas J. Jones Jr.